I've been playing a lot of Elite: Dangerous recently, perhaps a little too much but it's so damn addictive. Anyway, while I was trying to raise my rank with the Federation this meant I was away for some time from my adopted "home system" of Dulos. When I returned, the Dulos Defence Party, funded by Imperial backers, had gained some ground. As of today, it seems the situation is particularly dire for the Federation. The Federation now only holds 23% influence compared to the Dulos Defence Party which has a phenomenal 75% influence over the Dulos system. 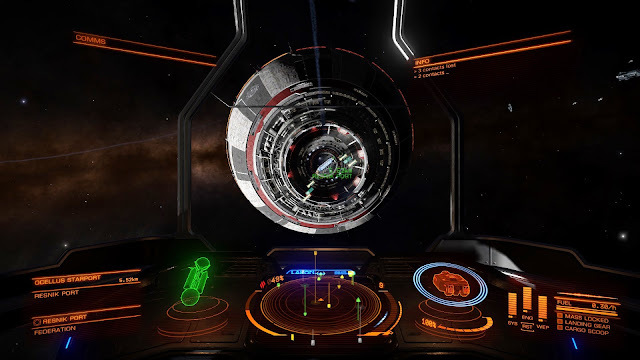 Not only that but the Dulos Defence Party has been slowly swallowing up the stations around the Dulos system and now there are only two stations left that aren't under their control: Resnik Port and Brunton Gateway. 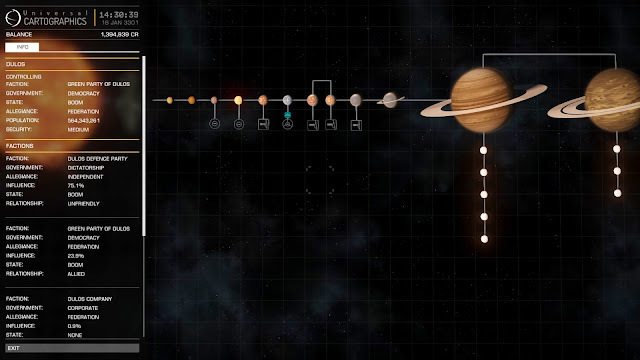 I was reading a little bit in this thread that eventually if a faction manages to get the "main station" of the system (usually the "biggest" according to the devs, so I'm guessing Brunton Gateway in Dulos's instance) then control will pass to the owner of that station. It seems it's only a matter of time now, but I'll keep on fighting the good fight :). However, before I lose my beloved Dulos system to the Dulos Defence Party (or worse, the Empire) I thought I'd do some sightseeing around the system and share some information on its stations since there are quite a few of them in this star system of over 500 million people: 7 to be precise. If I recall correctly this used to be a station controlled by one of the other minor factions of Dulos, such as the Dulos Company. Not anymore apparently. Probably named after John von Neumann (famous mathematician, physicist and computer scientist). While it's a pretty well equipped outpost it's obviously too small to support a shipyard. Probably the largest station in the system and my adopted home. This station orbits the terraformed planet of Dulos 6 and is the only station in the system that supports an agricultural economy - which is great when you want to do missions asking to feed the other stations (since they're all refinery economies). Brunton Gateway. Orbiting the beautiful Dulos 6. A port that is identical in terms of its facilities, economy and station type to Neumann Station. It is a bit further out though so probably doesn't receive as much traffic as other stations. Probably named after Tim Berners-Lee, credited as the inventor of the World Wide Web. 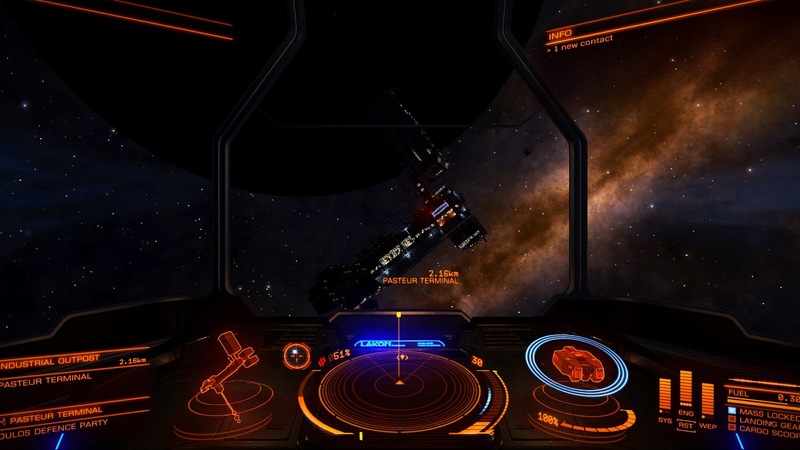 A very basic station that only offers you the ability to refuel and trade. Well at least it does give you the ability to trade. I've been to outposts before that are nothing more than glorified fuel stations. Probably named after American astronaut Norman Thagard. This station is the farthest out of any of them and its especially cold and desolate when you approach it when its in Dulos 9's shadow (which I did). Has all facilities except Outfitting and a Shipyard. 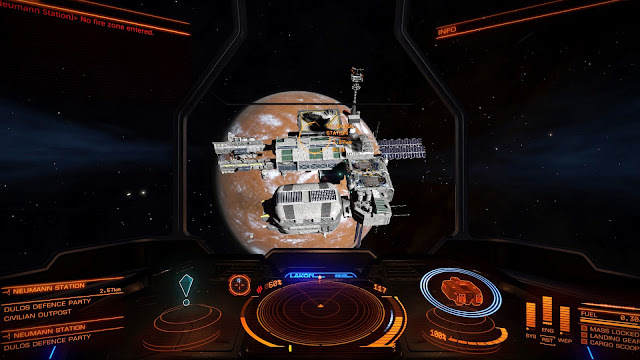 It's also the only station in the system that's an Industrial outpost. Probably named after French chemist and microbiologist, Louis Pasteur. Pasteur Terminal. An industrial outpost orbiting in the shadow of Dulos 9. 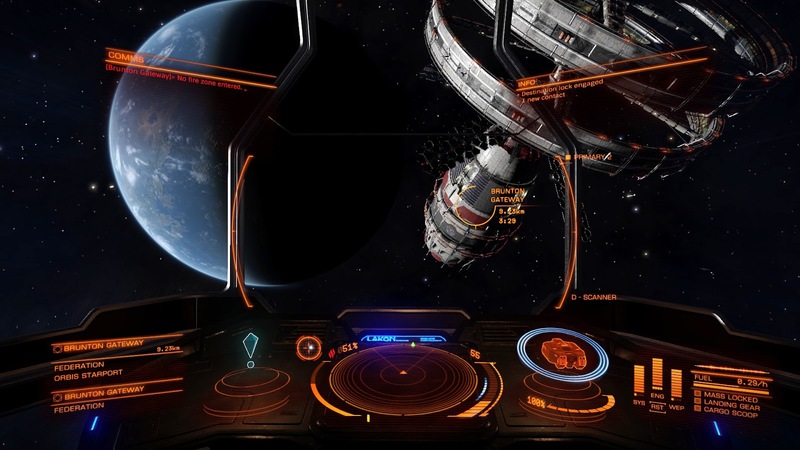 So if you're playing Elite: Dangerous which system have you adopted as your "home"? Or do you just tend to be a nomad not tied to any place in particular?